Interview: Greg Lengyel — GRIPVAN Gripvan - Photographic Equipment Rental made easy! Working in the industry since late 2005, some key photographers on his CV include (in no particular order) Dylan Collard, Garry Simpson, Giles Revell, Henrik Knudsen, Paul Murphy, Frank Herholdt, Nels Israelson, George Logan, David Stewart. Greg, you've been working in the photo industry for a while now. Can you provide an overview of your background and how you got to the position you're in now? I studied Photography at school, college and University. But my background was more fine art based, so graduating a good thinker didn’t prep me much for working mainly in a commercial photographic industry. Using various methods of contacting photographers and agents I got a lucky break trialling with Garry Simpson. I travelled to a couple of amazing parts of the world on Ad jobs. At the time he wanted a full time assistant and I couldn’t quite get up to scratch in time. So for the time being we parted and I went to work as studio assistant. This gave me more exposure to shoots, equipment, the people involved and what part they play. I did that for three months, then chased as many photographers as possible. As someone working behind the scenes on large shoots, what benefits have you found having Gripvan on a shoot? All the little extra bits, that by most are an oversight; a lot of the time I don’t order the equipment for the shoot myself. There are often little bits in hired kit that aren’t included. The job still works well without them but its nice to have everything at your disposal and the Gripvans are always well equipped. Its nice to turn up on a job with the confidence knowing that most eventualities are covered kit-wise. There's no such thing as an average day in the life of an assistant, but can you give an example of a shoot that has been particularly memorable? I remember once shooting a couple on a speed boat, from a taxi boat amongst a busy crossing at the port of Venice. I was attempting to get some half decent light on them, there were about 7 of us squashed into a space that was about 4ft square. It was very choppy water and was incredibly busy both on our little boat and in the water zipping between huge ships and other taxi boats. It all proved to be a very enjoyable and memorable days work hanging off the edge of the boat with a flash head on a boom. What do you have planned for the future? Any big milestones you want to achieve or people you want to work with? I hope to move into film, working in the electrical/lighting department as a Spark and aim eventually to move onto become a Gaffer. I would also like to take my skills gained from the film industry and bring them back to add an alternative approach to lighting stills. What tips or bits of advice would you give to other assistants? There’s no set route into becoming an assistant. So keep your eyes and ears open. Exhaust all avenues and initially take everything that comes your way. Tasteful persistence pays off, luck will do the rest. If you were stranded on a desert island, what would you want in your kit bag? C-stands, a good flag kit and a trolley to cart them around in. Heavy and bulky but if you’re going to do things right, a little pain has to be endured. What would you suggest to anyone thinking about booking a Gripvan for the first time? From an assistant's point of view I would strongly recommend it. It appears they work closely with their client to meet their needs. It was created and is run by people that have plenty of experience in the industry, mainly from working as photographic assistants themselves. It's a well planned out machine that fills a void in the industry. 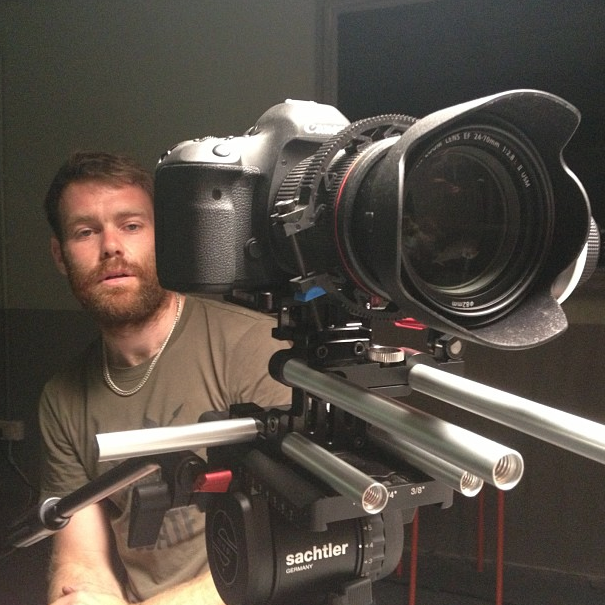 Greg works across the UK and overseas as a photographers' assistant, lighting tech and gaffer. To see his personal work check out his website or take a glimpse behind the scenes on his instagram.